On our way from Ljubljana we will first stop in Bled. The mountain-ringed Lake Bled attracts not only day visitors from Ljubljana, but also holiday makers in summer, while in the winter the resort offers skiing as well. We drive around the lake to the castle on the cliff above the lake. Per request you can also take a boat ride to the island in the middle of the lake with the traditional Bled boat called pletna. The island has a church with a “wishing bell” and the legend says that anyone who rings the bell three times, will have his or her wish come true. Bled is well known for a vanilla-and-cream cake served as a local speciality. 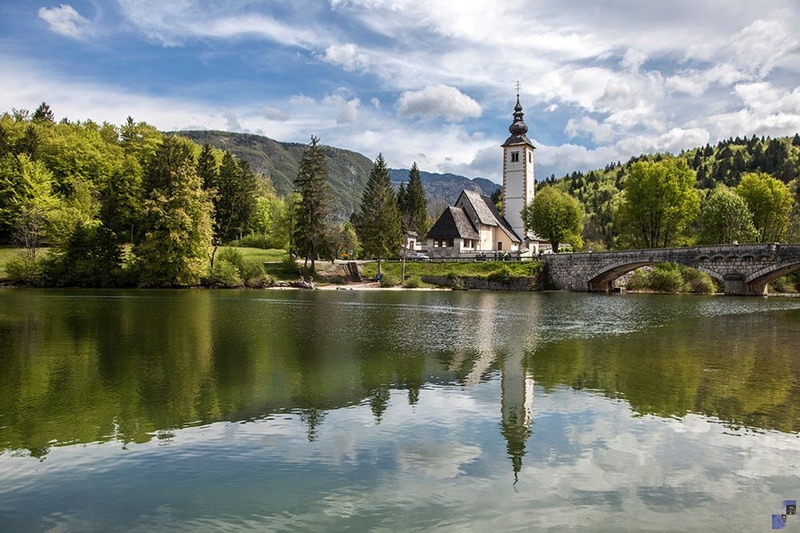 We will continue to Lake Bohinj which lies in an Alpine valley in Triglav National Park. We will go up to the well-known winter ski resort of Vogel (1922 m) by cable car and enjoy the panoramic view of untouched nature and the highest mountain peaks in Slovenia. After descending from Vogel we can visit the Savica waterfall, a 78 m high waterfall which is part of the Sava Bohinjka river, the main feeder of Lake Bohinj.. In the summer, the lake is warm and perfect for swimming; the water temperature is around 20 degrees. *Price includes: transport and guidance in English, Russian, Spanish or French language. Optional supplements: Entrance to the castle with a wine cellar, an old print shop, museum and a chapel (11 € / person), pletna boat ride to the island in the middle of the lake (14 € / person), visit to the church with the “wishing bell” (6 € / person), Vogel cable car (20 € / person), Savica waterfall (3 € / person).